Assemble your own football team that will consist only of your favourite cartoon characters. Hit the ball and score as many goals as you can to beat the other team. Have fun! 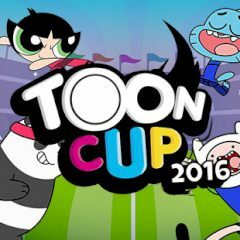 Are you ready to play football with your favourite cartoon characters? Choose your captain and two other players and join the tournament. Play against other funny creatures and show them that your football is better that theirs. Take control of the ball and score goals one by one!